With the nights closing in, temperatures dropping and driving conditions worsening every day, it’s important to ensure your car is ready for the colder weather and winter driving. 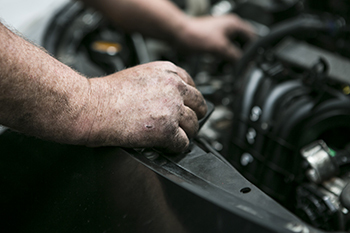 To give drivers complete peace of mind, Mr T Autos can give your vehicle a health check. The difficult driving conditions associated with winter, such as poor visibility, colder weather, and more variable road conditions mean that drivers need to be confident that their car will keep them and their occupants safe and sound. 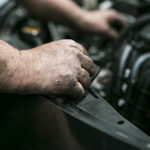 At Mr T Autos, we offer a Winter Health Check. This visual inspection will review key vehicle components to ensure the highest levels of winter road safety and driving performance: from clutch and brake feel to driveshaft operation, battery condition and exposed belt. Fluid levels – including engine oil – will also be checked, alongside the wear of windscreen wipers, tyre tread, and suspension. Finally, our qualified technicians will analyse the exhaust and steering system, test seat belt clasps and ensure all lights are fully functioning. Drivers will receive a personal check sheet describing what has been checked, along with recommendations from Ben or Stuart. Additionally, a full Winter Service is available, offering a full vehicle health check, including vital fluid top-ups, to ensure vehicles are ready for whatever winter brings. Gain peace of mind for the wintry weather ahead, and book a winter health check for just £20, and redeem that cost back when you book for a Winter Service. Removing ice and snow from lights, windows, and mirrors is a priority before any journey in cold weather. 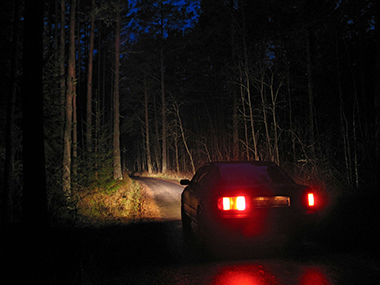 Keep vehicle lights clean and free of dirt, so they can do their job more effectively. Rain and spray make driving difficult. 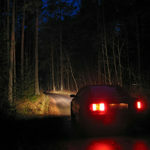 Always slow down and use dipped headlights. Glare from low winter sun can reduce visibility. In some circumstances, especially in the early morning and late afternoon, glare can leave drivers with no forward vision at all. Reflected glare from wet roads can also seriously compromise what we’re able to see. In these circumstances, slow down and be prepared to stop. Don’t delay switching on your lights. Even if your view of the road ahead is good, you may be much less visible to other road users, especially if you drive a dark-coloured vehicle, remember that your lights don’t just help you to see other vehicles and hazards… they help others see you as well. Don’t drive if you don’t really need to. The easiest way to avoid trouble from winter conditions is not to venture out in the car. If bad weather threatens or has already arrived, then postpone your journey and eliminate the risk of becoming stuck somewhere. If you’re out on the road in snow, then keep your speeds down, leave plenty of space between yourself and the vehicle in front, give room to snowploughs and gritter trucks, and be ready for sudden, rapid deteriorations in conditions.